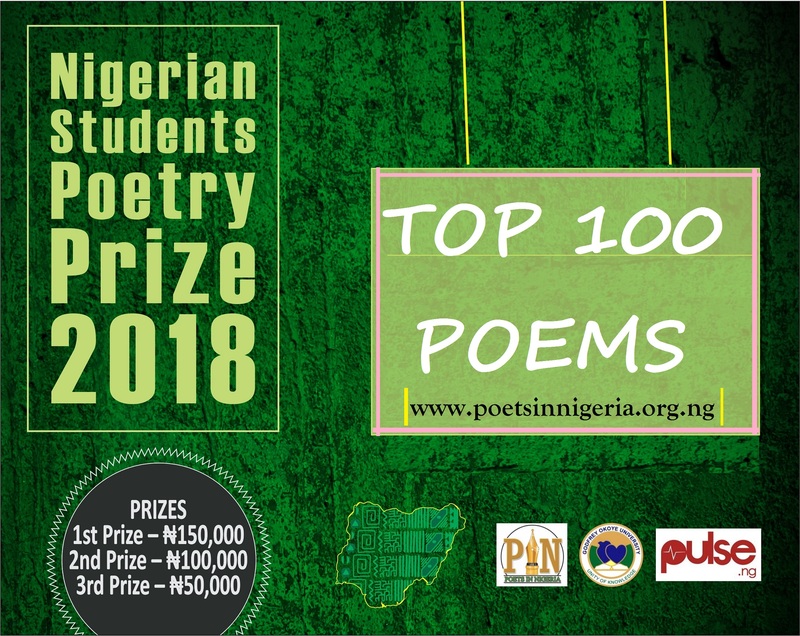 Poets in Nigeria (PIN) is pleased to announce the top 100 poems for the 2018 edition of the Nigerian Students Poetry Prize (NSPP) which opened for submissions on 15th January, 2018. Reviewing the entries in line with the rules for the prize, 464 entrants were deemed eligible to vie for the prize. A 5-man judging panel, chaired by Ismail Bala, has selected the following poems, in no particular order, as the top 100 entries. the awards ceremony is slated for 24th May, 2018 at Godfrey Okoye University, Enugu. I know one day I will be congratulated! Congrats again to PIN. My congratulatory messages to PIN will continue to flow from the never drying spring of appreciation to whom praise is due as long as PIN continues to unfold laudable project such as this latest outing with 100 poems from Nigerian students.